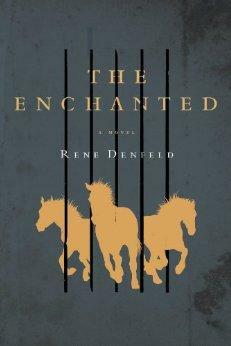 Book Review: The Enchanted by Rene Denfeld – The Small Things. I’m baaaack! First let me say that my week in Cuban paradise was amazing! Later this week I’ll be writing a travelers guide post all about the trip, but today I am super excited to share my first (and hopefully not my last) book review! I solemnly swear to share my honest opinions without spoiling the book for any future readers. I found this book on the Black Friday sale table at Chapters in early December. I think it was the golden horses on the cover page that drew my attention and with a title as ambiguous and enticing as “The Enchanted”, I couldn’t help but pick it up. Was it about horses? Was it about magic? Well the answer is no. It’s not about either of those things. The Enchanted is the story of a death row inmate told through the eyes of another death row inmate. I honestly wasn’t sure what I was getting myself into but the book was on sale, so I decided to take a chance on it and boy oh boy did it pay off! This novel is incredibly beautiful. It explores a slew of very dark concepts in a surprisingly bright and refreshing way. The lasting effects of child abuse, the corruption and madness of life behind bars and the emotions fueled by imminent death. The content is not sugar coated in any way and at times I was fearful of what darkness I might find on the next page. That being said, Denfeld’s writing style is so poetic that even the most dark content has a quality of lightness. The Enchanted is a perfect title for this story because it is exactly that; poetic, beautiful and enchanting. I think it is important to note that the writing style can be difficult to follow at times as this book is not written in a linear fashion. In fact there are moments when it feels more like a collection of smaller stories and moments all sewn together. If you enjoy reading and learning, exploring the unknown, then this beautiful novel is a must read. What country are you in? Have you looked into ordering it online or perhaps purchasing an e-copy? I’m not sure what type of restrictions book publications have. But if you get the chance be sure to read it! India. I’d need to import a copy and that would be really expensive. I might try and look for it on the kobo store though.